Got a Caddy on the cheap. Parts collection phase. Thread: Got a Caddy on the cheap. 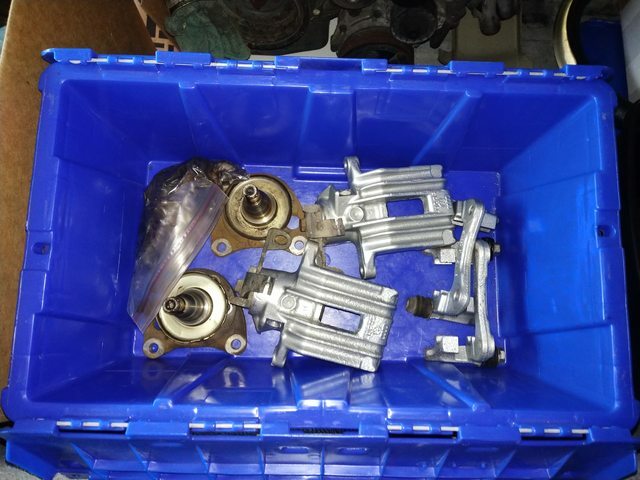 Parts collection phase. Ive owned a few new mk4 and B5 Volkswagen's in the recent years.... last year I nabbed a $900 VW Cabriolet and really had fun with the mk1 chassis. Cabby is fun, but a fare weather car. 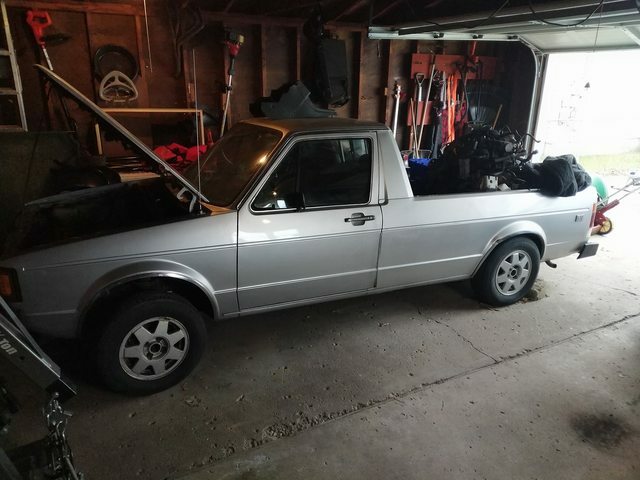 Dreamed of a Caddy truck for many a years, but never looked to hard. 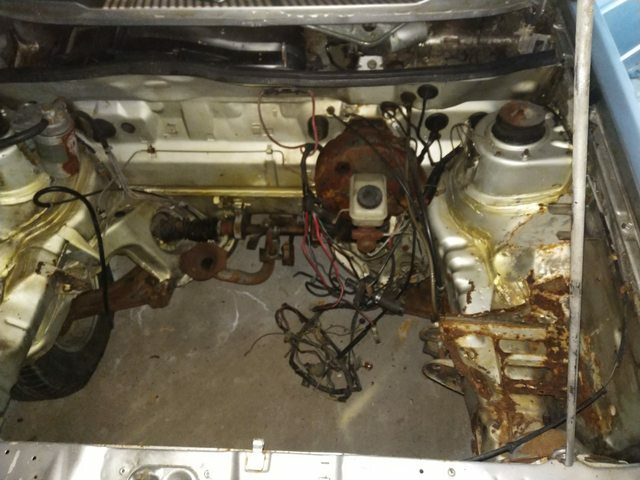 Ended up finding a guy selling his "rotting" away project on the cheap on the local craigslist, $500. That cheap, i couldn't pass it up and was messaging the guy at like midnight as to not miss out of the chance to get a truck for cheap. That next morning I looked at the car @9am and knew I had to get it. 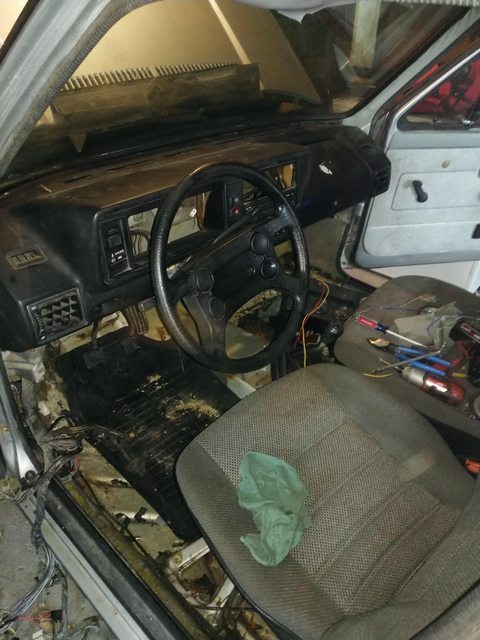 It is a 1984 Caddy that originally had a 1.6L diesel/4speed in it. That engine was pulled out of it, and in the bed of the truck.... along with a AAZ diesel and 5-speed. Again, $500.... I couldn't say no! When I meet with him to pay, he had said he had gotten like 60 emails in the <24 hours he had it posted. Im glad I didn't wait! Ended up dollying the car home and started to formulate a plan. In my spare time I am a VW parts hoarder (it comes with the VW culture I guess). In my collection I have 2 spare ALH engines and 2 02J transmissions... so lets put that in there. The 1.6 and AAZ were questionable as they were sitting in the bed for a few years, and I know the ALH is in good shape. 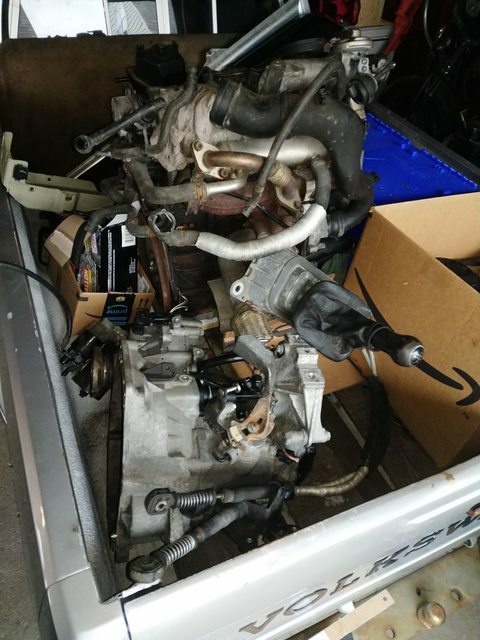 Ended up selling both motors and transmissions for $800, FREE CAR! 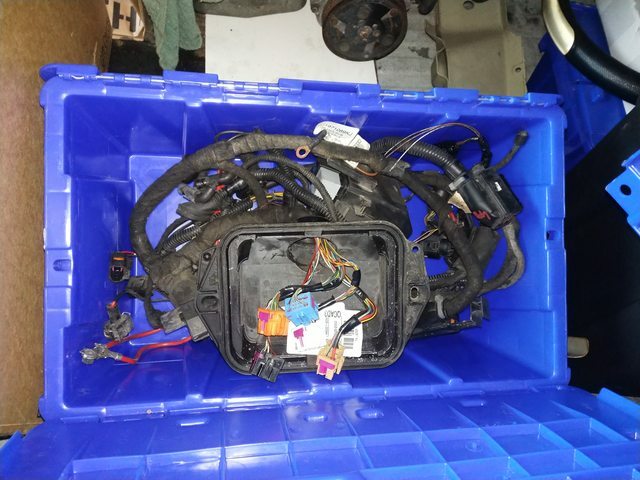 Went a few trips to the junkyards and found some other parts and swap-able parts. Even with all the parts ive purchased from the U-Pull-It junkyards by me.... I am still Net Zero dollars spent on this project. I hope to get some work done this winter on the car. No major holes, but battery tray needs to be removed. Engine and trans waiting in the back. you are one lucky man, goodluck with the build! Dayum. That is one hell of a haul. Cant wait to see how this turns out! Still collecting a few parts. Picked up upgraded brake booster and master. Got the bracket and master painted today. Also was at the local wrecker and found a set of mini Cooper phone dials for $140 with rubber. Same 4x100 but will have to play with hub diameter differences and offset. Going to have to figure out what the secret sauce for setup to use them is, and how they look. They look like a fitting addition to a retro vehicle.